Do you have a copy of the post-election November 10, 2016 edition of the Cambridge Chronicle? If you’re willing to part with it, we’d love to be able to microfilm it. We keep the Cambridge Chronicle in perpetuity and 2016 is incomplete. Please help us preserve Cambridge’s newspaper of record! E-mail apacy@cambridgema.gov. Throwback Thursday: Fish and Oyster Market Found! 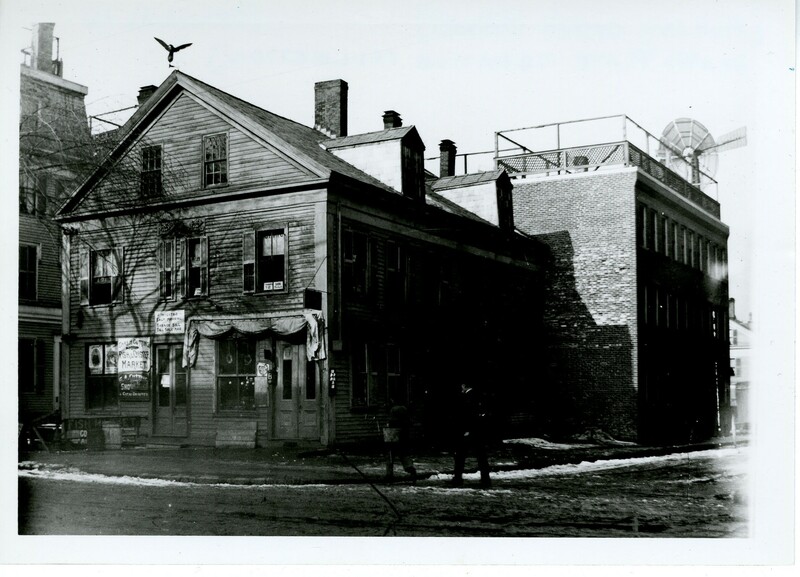 The location of the Charles H. Cutting Fish and Oyster Market, 359 Main Street. Last week, we asked our readers to help us identify the photograph of the Fish and Oyster Market pictured below. 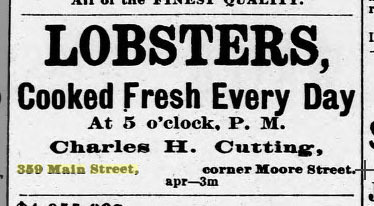 Thanks to PJN, we learned that it is the Charles H. Cutting Fish and Oyster Market, located at 359 Main Street, on the corner of Moore Street. We found this ad in the Cambridge Historic Newspaper Collection, in the May 21st 1887 edition of the Cambridge Chronicle. 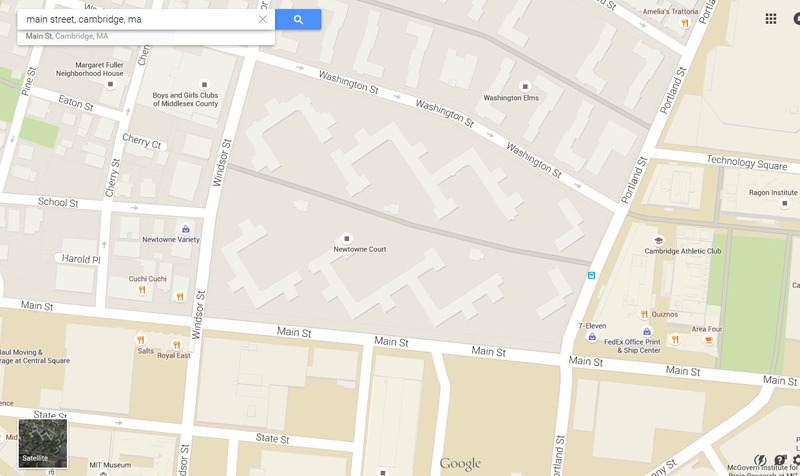 359 Main Street is now the location of Newtowne Court – Moore Street no longer exists. Not the first thing that comes to mind when one thinks of Thanksgiving, but this certainly is a creative and amusing attempt to get in on the spending frenzy that often accompanies the holiday. Our Historic Cambridge Newspaper Collection was featured on the front page of last Thursday’s Cambridge Chronicle. Thank you Cambridge Chronicle! Have you Taken our Cambridge Chronicle Survey? 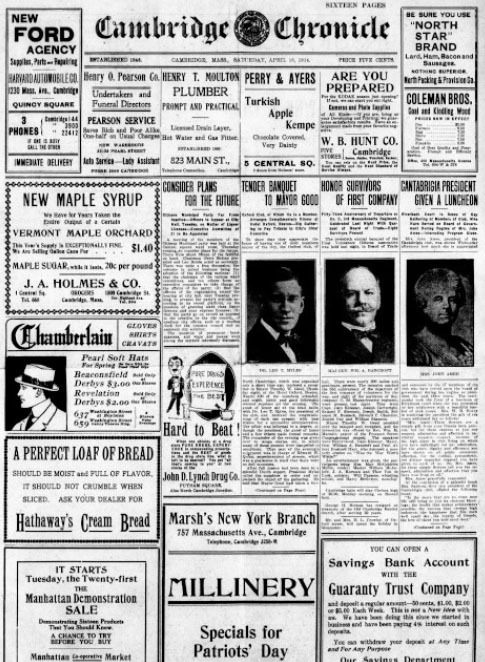 18 April 1914 edition of the Cambridge Chronicle. 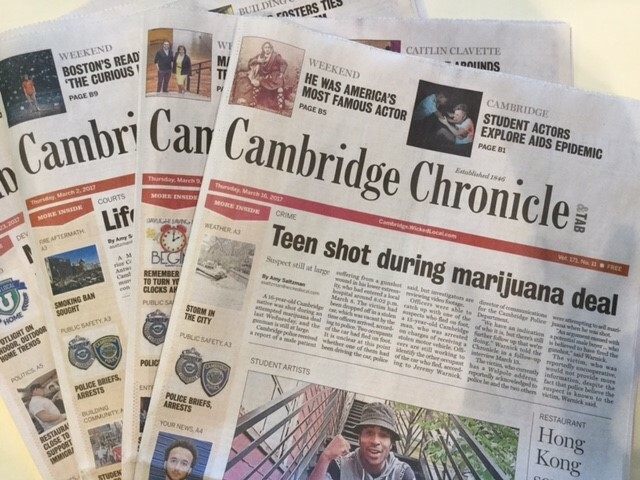 Do you read the Cambridge Chronicle? 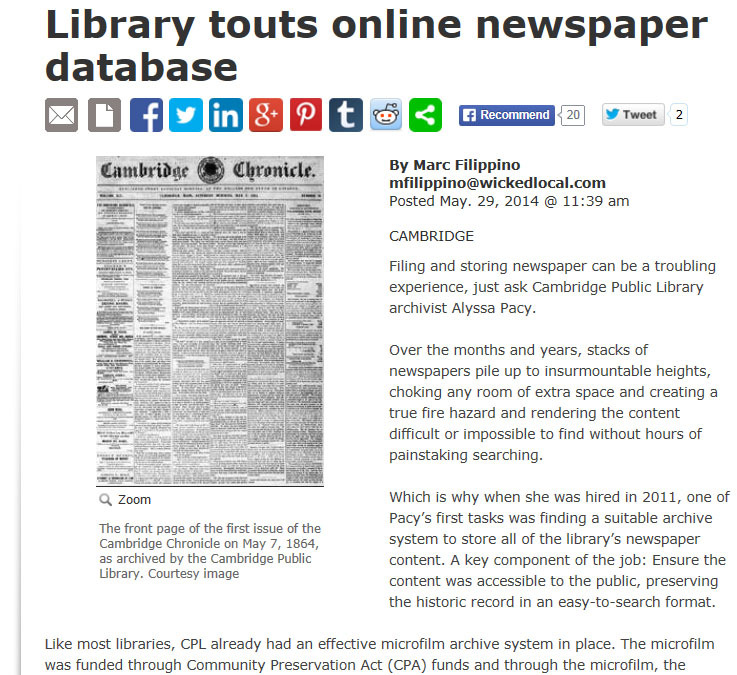 Have you ever used the Historic Cambridge Newspaper Collection? We’re conducting a brief survey to learn about the ways that users read and access Cambridge news, specifically the Cambridge Chronicle. Take our short, 10 question survey here. 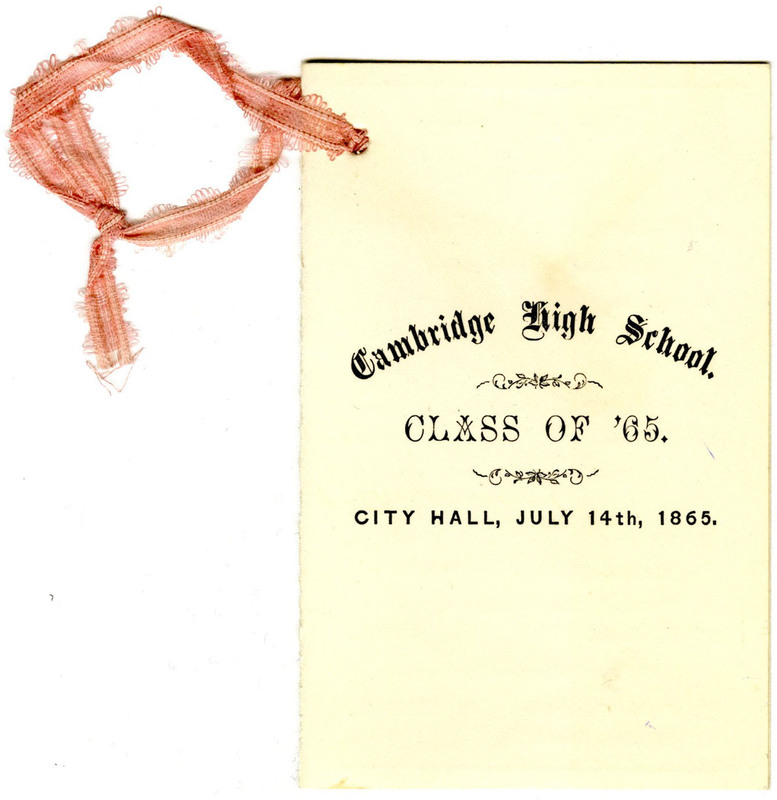 Invitation to the Graduation Exercises for the Class of 1865, Cambridge High School. 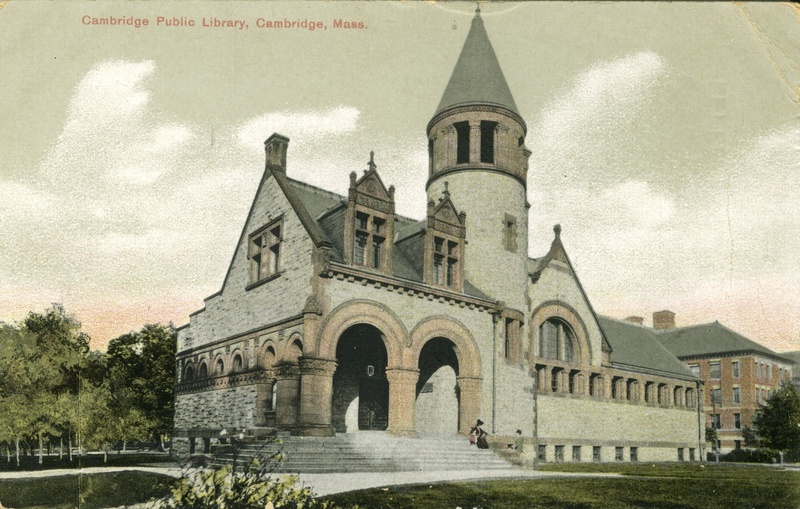 On July 14th, 1865, 43 students graduated from Cambridge High School. The next day the Cambridge Chronicle covered the ceremony in detail. Read all about it here. After the ceremony, a dance was held. 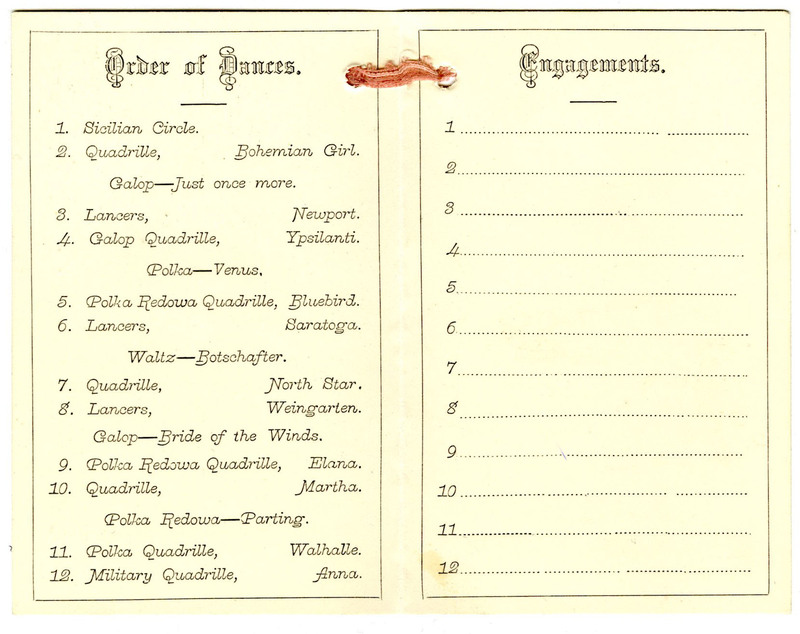 The Cambridge Room recently acquired the invitation pictured above as well as a dance card. See if you recognize any of the dances that all the 18 year olds knew in 1865. 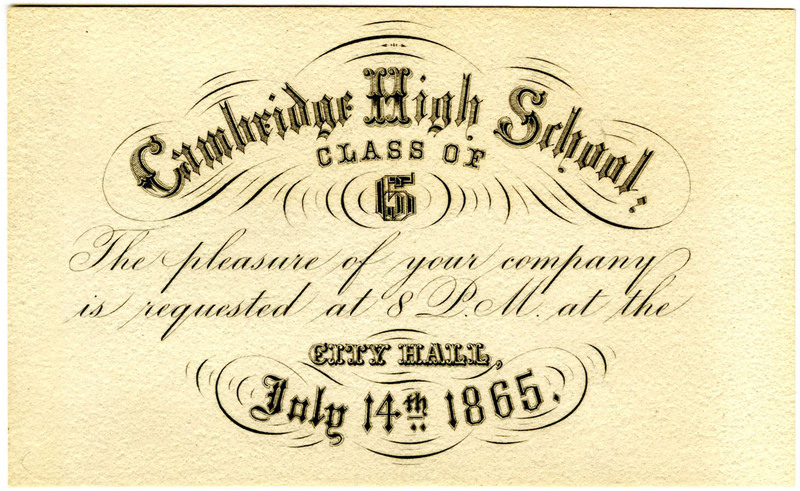 Cambridge High School, Class of 1865 Dance Card, 14 July 1865.